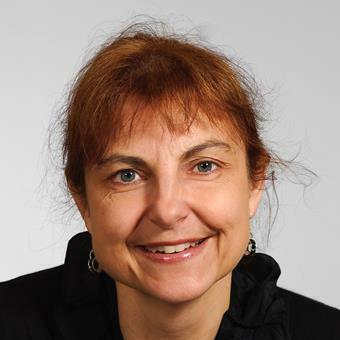 Christina Hörnell was appointed as director musices at Linköping University in the autumn of 2014 and took over the artistic leadership for the Linköping University Male Voice Choir and the Linköping University Chamber Choir. Hörnell is director for the Music at Linköping University centre and has overall responsibility for LiU’s musical activities. The work includes providing support to students and teachers, boundary-spanning collaboration within the university, responsibility for the concerts held in association with the Commencement Ceremony and at other university ceremonial occasions, and collaboration with musical activities in the region. Hörnell studied as conductor and organist at the Royal College of Music in Stockholm. Between 1989 and 1994 she was conductor for Kongl. Teknologkören at the Royal Institute of Technology in Stockholm, and between 1991 and 2007 for the Stockholm Academic Choir. She was choirmaster at the Royal Swedish Opera 1994-2013, and at Göteborgs Symfoniska kör 2010-2014. She has taught conducting both in Sweden and abroad and has been assistant choirmaster at the Bayreuth Festival. Among warplanes, a chilling manifestation against the madness of war. The Swedish Air Force Museum will be the location for the Better is Peace concert on 20 October, to be followed on 21 October in Louis De Geer Konsert &amp; Kongress. How many strings on your violin? How many strings do you need for a university gala concert? We don’t know, but the Linköping University Male Voice Choir, the Linköping University Symphony Orchestra and the soloists will surely have enough at the University Gala Concert on 25 May. Dust off your student caps and celebrate Valborg on Walpurgis night the traditional Swedish way!